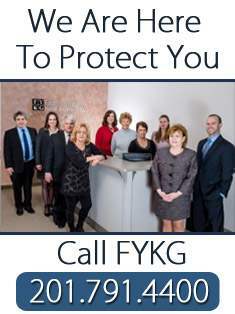 For more than three decades, Feitlin, Youngman, Karas & Gerson, LLC and its predecessor firms have served the people and businesses of Northern New Jersey. We’ve secured millions of dollars in settlements and verdicts for our clients who range from individuals to national corporations to “mom and pop” local businesses. From the courtroom to the boardroom, we have the experience to handle the community’s full range of legal needs. We pride ourselves on being more than legal professionals. We are members of the community. With our offices in Glen Rock, Northern New Jersey is where we have worked and lived for our entire lives. Our roots extend far and wide across the courtrooms and boardrooms of Bergen, Passaic, Essex, Union, Hudson, Morris and Sussex Counties, giving us the knowledge, contacts and experience to serve the community. Our commitment to serve our clients goes far beyond the lawyer’s code of professional responsibility. As a firm of five lawyers, we are dedicated to provide each of our clients with personalized service and attention. We’re experienced in handling personal injury claims, ground breaking lawsuits to protect the children in our local schools, medical malpractice claims, sensitive family matters, wills & estate issues and vexing business related disputes. That means that when you become our client, your problems become our problems to manage, litigate and resolve.